I have never heard of Kanekalon Fibre – what is it? The kanekalon fibre has been specifically formulated to simulate human hair, giving a fantastic overall natural appearance. How are your wigs packaged? All our wigs are packaged in clear bags. These in turn are placed in discreet outer waterproof bags with no branding or the mention of wigs anywhere on the outer bags. We make sure your purchase is confidential. Do you sell Petite size wigs? At the present time all our wigs are classed as medium or one size wigs, which do fit the vast majority of people. However we do not currently offer a Petite fit range. Do you sell Designer or Brand Name wigs? No, we simply sell our own Wig Store UK brand wigs, these are perfect quality wigs without the ‘Designer Label’ price tag. 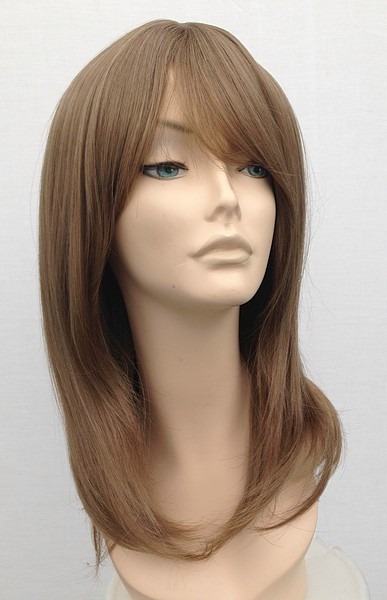 All our wigs are designed for us here at Wig Store UK. Do you only have one shade in each wig? As we keep in all the stock we just have the colour shown on the website. We do however update our styles and colours and have new designs coming in every few weeks, so we have wigs to suit all tastes and budgets. Are the wigs on your website made from human hair? 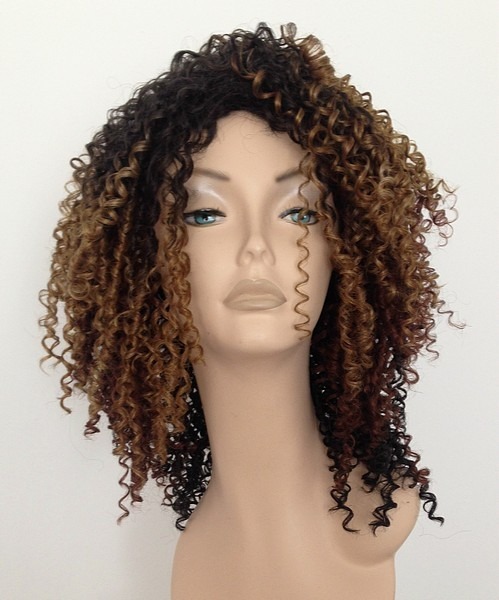 No, here at Wig Store UK we only stock high quality synthetic fibre wigs. The fibre used to make our wigs has been specially formulated to look as close to real hair as possible. Are the wigs in the pictures the actual wigs you have? Yes, yes, and yes, we are somewhat unique here at Wig Store UK, as we do take the vast majority of the photographs ourselves in our studio, we have no intention of misleading our customers and feel that if we show you the wigs we have by not using promotional photos from manufacturers you will be clearer about what you receive, this is a winning formula for us as many of our clients return time and time again. Are all the wigs on your website actually in stock? Yes, there may be a minority from time to time that are out of stock but we will always email you to offer an alternative or refund should this be the case. We update our stock lines regularly and we have great new styles coming in all the time. We are UK based and all our stock is shipped from the UK.